Gunnar Baumgärtel, a physicist by training and a German and European patent attorney, specialises in patent litigation and patent prosecution – particularly in sophisticated proceedings involving automotive technology, telecommunications, electronics and mechanical engineering. He has vast experience in handling patent infringement cases before the district and appeal courts, as well as nullity cases before the Federal Patent Court, where he has represented clients in some of the biggest patent lawsuits pending in Germany in recent years. He was also actively involved in achieving a fundamental decision issued by Germany’s Federal Court of Justice concerning the admissibility of post-grant amendments to claims, an issue which is of pre-eminent importance in opposition and nullity proceedings. Due to his experience in patent litigation, he has been appointed as an arbitrator in various international arbitration proceedings. 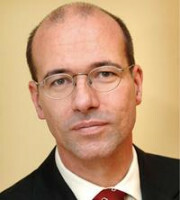 Dr Baumgärtel is a member of the board of the German Association for the Protection of Intellectual Property and treasurer of that association. He studied physics in Berlin and Paris (Technical University and École Normale Supérieure) and obtained his doctorate from the Free University of Berlin in 1993 for research in the field of magnetism, superconductivity and femtosecond-spectroscopy.